Halloween is great and while it’s one of my favorite holidays, I honestly don’t see a need for a whole ton of gore. A little bit of creepy gore though is perfectly fine with me. 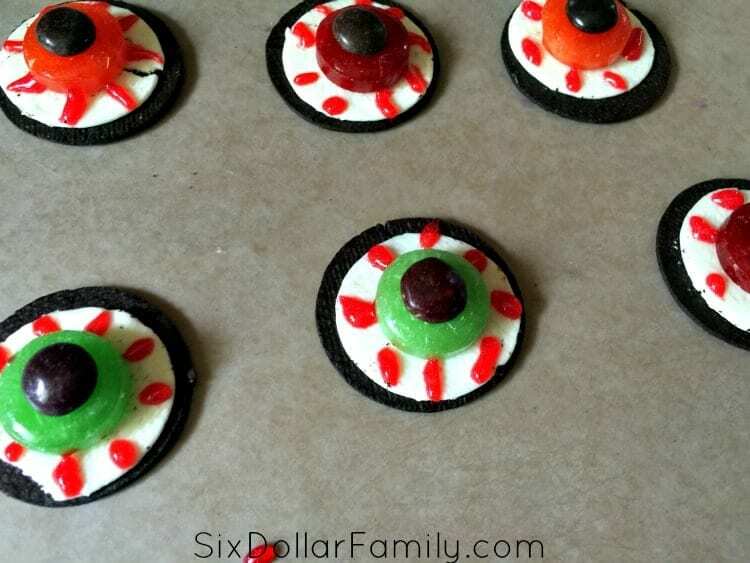 Take these creepy eyeball cookies for example. They’re creepy without being too creepy for little ones and well? Look at them! They’re super fun! Aside from being really fun though, they’re also crazy easy to put together! You only need a few items and yes, the kids can help! 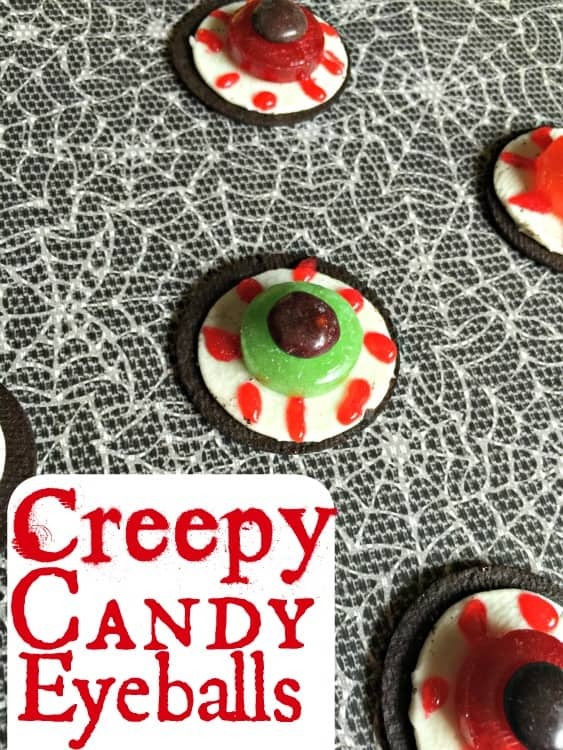 These would be the perfect Halloween slumber party activity too. I can very easily see my Emma and her bestie making these one weekend while watching creepy movies in between giggles and screams. Grab your Oreo’s and split them in half. You only need the side with cream so feel free to eat the other half of the cookie. Place a dab of frosting in the middle of each cookie then place 1 Lifesaver on top. The dab of frosting will act as glue to help keep the candy on the cookie. 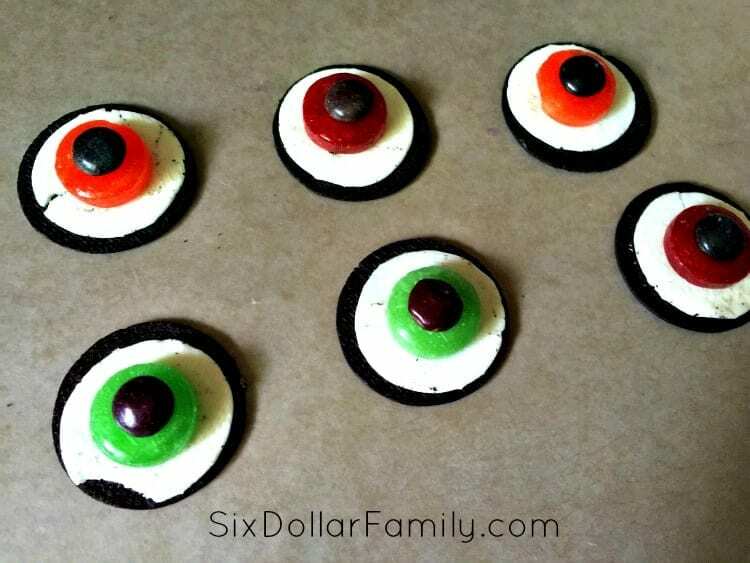 Next, add another dab of frosting in the middle of the lifesaver and attach an M&M for the pupil of each eye. Next, take the frosting and create blood vessels on the outside of each eye to create the bloodshot look. 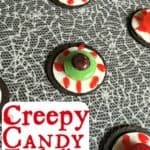 Creepy gore without going overboard, these creepy candy eyeballs are perfect for your next Halloween party! Split each Oreo in half saving the side with the cream. Place a dab of frosting in the middle of each cookie then place 1 Lifesaver on top. 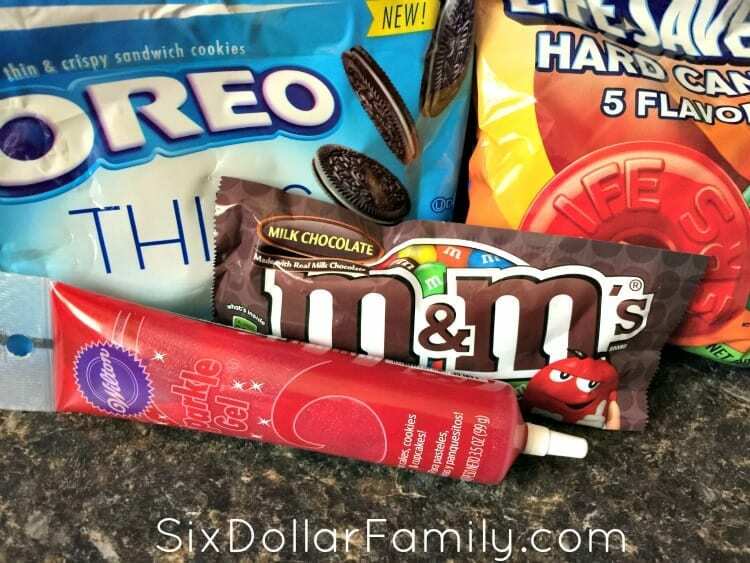 Use the red frosting to create blood vessels around each eye.